What is an Autoimmune Diet? As a registered dietitian nutritionist, I have dedicated my private practice to helping those who have been traditionally ‘unhelped’ by conventional medicine, mainly those suffering from autoimmune and inflammatory conditions. After suffering through my own health crisis, I saw firsthand how conventional medicine does not truly help to facilitate a healing process, but rather masks the present symptoms without ever addressing the root cause of the issue. 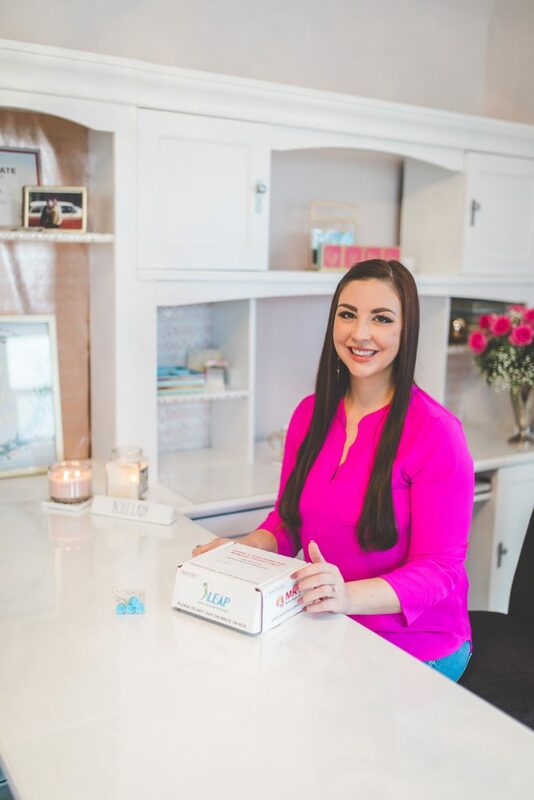 Nearly three years after my experience I have continued to champion the importance of being your own health & wellness advocate, the importance of taking your health into your own hands, and the importance of finding a provider you can trust. 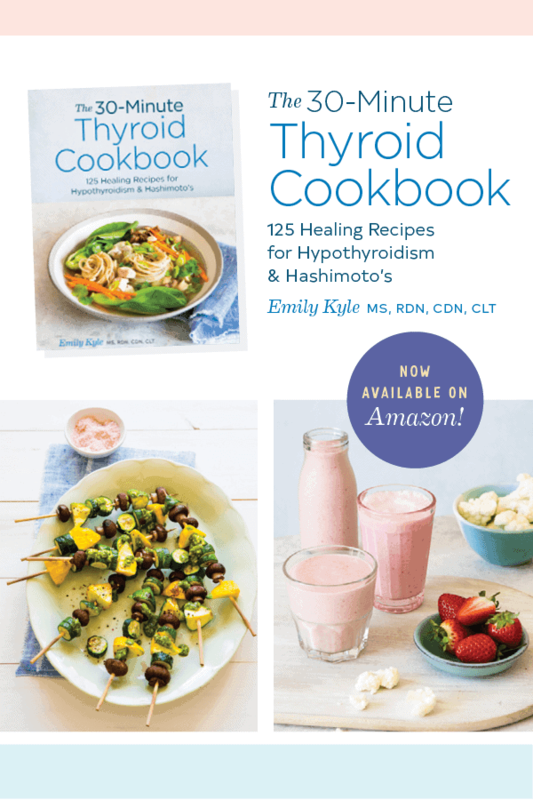 Since then I have become a Certifed LEAP Therapist trained to administer the gold standard in food sensitivity testing, the Mediator Release Test, become a Certified Holistic Cannabis Practitioner and wrote a cookbook, The 30-Minute Thyroid Cookbook, that touches on the Autoimmune Paleo Protocol. Finally, I am almost finished writing my second cookbook focusing on the dietary management of Hashimoto’s disease following the Autoimmune Paleo Protocol. So surely I should have an answer to the popular question: What is the Best Autoimmune Diet? My educated opinion is that there is no such thing as the best autoimmune diet recommendation for a generalized population. Autoimmunity and inflammation are highly individualistic and affect each individual differently. This means that what could be a dietary, environmental, or hormonal trigger for one person may not be a trigger for another, and ultimately there is no ‘best autoimmune diet’. However, not all hope is lost. The process just becomes more complicated. The key to finding the best autoimmune diet lies in determining your own personal dietary, environmental, and hormonal triggers which will help you create the best autoimmune diet for YOU as an individual. While there are some general recommendations made for autoimmune diets, such as an anti-inflammatory, whole foods, gluten-free diet, it is just not that simple for everyone. For anyone living with Hashimoto’s or another autoimmune disease, it is widely accepted that gluten should be eliminated from the diet during an elimination phase or even indefinitely. It is also accepted that dairy is a pro-inflammatory food for many individuals, which is why a dairy-free, gluten-free diet is often the first step in following an elimination diet that produces results. But what about the rest of the foods you hear about avoiding – eggs, nightshades, nuts, legumes, and grains? Aren’t these foods that were once considered to be healthy? Yes, for most individuals these are healthy ingredients that can provide an ample amount of nutrition, as well as dietary fiber, which plays a huge role in the healing of the gut microbiome by providing prebiotics. But it is most important to understand that these foods can be inflammatory to some, but not others, especially for those who are battling an autoimmuine disease. This leads us to the need to follow an elimination diet like the Autoimmune Paleo Protocol or to move forward with Food Sensitivity Testing to help determine what the specific dietary triggers are so that you are not unnecessarily avoiding foods that may contribute to your overall wellbeing. As a practitioner, I am very cautious about who I prescribe these diets or recommend food sensitivity testing for because these diets are restrictive in nature and are not intended to be a long-term dietary management solution. By following the AIP diet or LEAP protocol for 60-90 days, the goal is that you will determine your exact food sensitivities and dietary trigger. This will allow you to not only protect yourself from the offending foods you are sensitive to but to also open yourself up to the ability to consume more of the nourishing, health-promoting foods that you are not sensitive to, while simultaneously healing your digestive system by addressing and treating leaky gut. Why an Elimination Diet for Autoimmune Disease? One of the biggest frustrations with the nutrition management of Hashimoto’s and other conditions like IBS is the perceived dietary restrictions and the constant feeling of ‘what can I eat?’. While food no doubt plays a critical role in your recovery, so does stress, which leads us to the ultimate goal of creating a safe diet that you can realistically, and enjoyably, stick to long term. These initial restrictive diet phases, or the elimination phase, is meant to allow you to feel safe consuming the foods that you are not sensitive to, or your ‘safe’ foods, while allowing your body to heal and repair itself. Once you are confident in identifying and understanding which foods you are sensitive to, you can feel confident in consuming the foods that you are not sensitive to. Whether you are just starting out and doing an elimination diet for the first time, or are considering food sensitivity testing to get to the root of your sensitives, it is my goal to provide you with an educated opinion, compassionate guidance, and delicious recipes that are safe, nourishing, and delicious. The Elimination Provocation Diet: What is it? People who are suffering from mystery gastrointestinal or immune issues are often encouraged by their doctors to use the Elimination Provocation diet to determine out whether or not they have a food sensitivity. As the name suggests, the Elimination Provocation diet consists of eliminating specific foods for 3-4 weeks. These foods can include but are not limited to: anything containing gluten, dairy, eggs, corn, soy, and artificial sweeteners. After a few weeks, foods containing the suspected allergen are added back into a person’s diet, one at a time for a period of three days before the next, if no symptoms are observed. Symptoms can consist of diarrhea, joint pain or aches, skin rash, etc. If symptoms are observed, foods containing the allergen should be removed from the diet and other foods should not be reintroduced for another week. The problem-causing foods should be eliminated from the diet for a few months before reintroducing them, if at all. Allergists and/ or doctors will use the information gained from this diet to form a better treatment plan and to decide if further tests need to be performed. Do not start the Elimination Provocation diet before speaking with a medical professional, and make sure to work with a medical professional, like a registered dietitian nutritionist, while on this diet. The Autoimmune Protocol Diet: What is it? 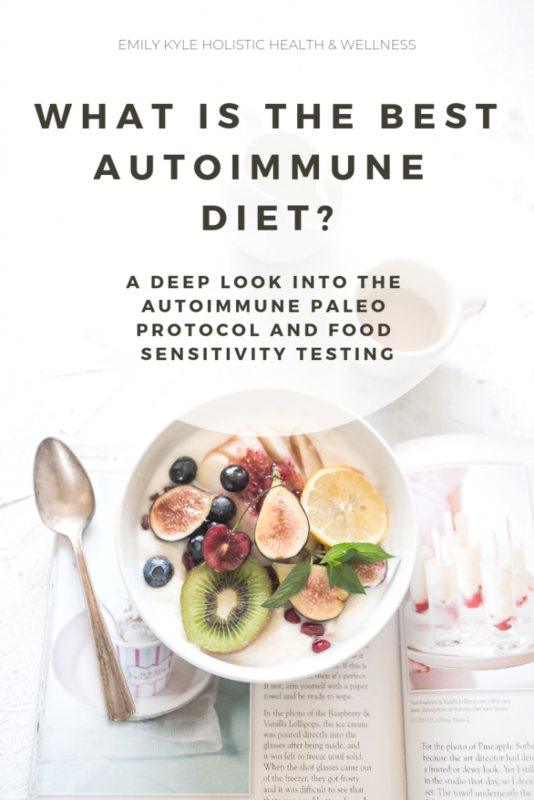 The Autoimmune Protocol (AIP) Diet was designed for people diagnosed with autoimmune conditions to help identify their specific dietary triggers for inflammation, thereby reducing the immune response. During the elimination phase, the AIP diet restricts any foods that may be causing inflammation while simultaneously focusing on supporting and nourishing your body in an attempt to heal the gut. The Autoimmune Paleo Protocol is similar to the Paleo diet, but is even more restrictive during the elimination phase by removing a wide variety of potential inflammatory triggers. While the AIP diet cannot cure an autoimmune condition, it can help to reduce the severity of symptoms experienced and help in the overall treatment and multidisciplinary approach of treating an autoimmune disorder. Patients prescribed this diet are recommended to stay on the elimination phase for 30-60 day, depending on symptom resolution, before foods are gradually added back into the diet. If reactions to certain foods occur, these foods should be eliminated and rechallenged at a later date. The AIP diet focuses on consuming a wide variety of anti-inflammatory foods while removing the following during the elimination phase: dairy, all grains including gluten, eggs, legumes such as beans and peanuts, nightshade vegetables, nuts and seeds, all added sugar, food additives, and artificial sweeteners, and processed vegetable oils. It is also recommended to stay away from painkillers and alcohol. Basically, anything suspected of causing inflammation is off limits. What Can You Eat on the AIP Diet? While on the diet, you are encouraged you to load up and enjoy meals filled with the following anti-inflammatory foods: wild caught meat and fish, a wide variety of vegetables except nightshades, small quantities of fruit and sweet potatoes, coconut milk, oils made from avocado, olive, or coconut, honey or maple syrup in small quantities, fresh herbs, dairy-free fermented foods such as kombucha and kefir, vinegar, herbal teas and homemade bone broth. A combination of antioxidants omega-3 fatty acids, and/or plant-based dietary fiber make these foods an excellent choice for maintaining an anti-inflammatory diet. These are generally recognized safe foods that you are encouraged to enjoy, but it is also important to keep in mind your own personal sensitives. If possible, choose organic produce whenever possible to avoid potential chemical sensitives. Does the AIP Diet Help Heal Leaky Gut? It has been thrown out there a lot these days, but what does it even mean to have this so-called leaky gut? Many researchers, physicians, and healthcare providers believe that autoimmune conditions may arise from the development of ‘leaky gut’ or ‘intestinal permeability’, a condition which stems from the development of small holes in the intestines. For those who have increased intestinal permeability, particles of food are able to make their way through the holes in the intestines into the rest of the body via the blood stream, triggering an immune reaction and causing inflammation. The theory behind the AIP protocol is that by eliminating many pro-inflammatory foods, the leaky gut can be healed by reducing inflammation and restoring gut health. Load up and eat meals filled with approved anti-inflammatory foods. This is where you will focus on consuming your wild caught meat and fish, non-nightshade vegetables, moderate amounts of fruits, herbs spices like turmeric and ginger, and healing beverages such as herbal tea and bone broth. It is the goal of the AIP diet to nourish the body with nutrient-rich, anti-inflammatory foods that will help to heal the gut and quiet the immune response. By eliminating foods that are suspected to cause inflammation, it is believed that the AIP diet can help to repair what is known as leaky gut, now known as altered intestinal permeability. There is no set time schedule with the AIP diet, but it is suggested that once you see improvement in your symptoms, you start to gradually reintroduce foods to determine if you have sensitives to any of them. Like the EP diet, this process is designed to help you determine the safest, most liberal diet to support your health. What is the Difference Between the Two Elimination Diets? The Elimination Provocation diet is often used for people who are suffering from gastrointestinal symptoms and likely have an allergy, while the Autoimmune Paleo Protocol is used for those who have a suspected or diagnosed autoimmune disorder. The Elimination Provocation diet is not as limiting as the AIP diet. The AIP diet eliminates many more foods than the Elimination Provocation diet. This could be a good, or a bad thing, depending on your specific circumstance. The Elimination Provocation diet is more tailored towards the individuals uniquie reactions as opposed to the AIP diet which has a structured outline that clearly states which foods and substances should be avoided. The Elimination Provocation diet will vary from patient to patient more so than the elimination phase of the AIP diet. How Are the Two Elimination Diets Similar? Both diets eliminate certain foods thought to be problem-causing or inflammation inducing. Both diets can include the gradual reintroduction of eliminated foods to allow for the safest, most liberal diet possible. Both of these elimination diets use food as medicine to help relieve unpleasant symptoms and reduce inflammation. These diets should not be followed unless recommended by a medical professional. If you think that one of these diets can help you, talk to your doctor or work with a registered dietitian. After implementing various elimination protocols in my private practice, I noticed that while these elimination diets were helpful to many clients, there were still some clients who were unable to pinpoint their triggers and find relief from their worst symptoms. Many clients found the ‘guessing game’ too difficult, and many were looking for a concrete answer to specifically identify which foods were inflammatory for them. I sought out the gold standard in food sensitivity testing to use in my practice and ultimately went back to school to become a Certified Lifestyle Eating and Performance Therapist trained to administer and interpret the results from the patented Mediator Release Test (MRT). Lifestyle, Eating and Performance Therapy (LEAP) is the most strategic method of dealing with food sensitivity related illness that you can find anywhere in healthcare today. This comprehensive training was developed by a team of dietitians, physicians, immunologists, and medical business professionals with more than 100 years combined experience in treating food sensitivity related conditions. This test and dietary protocol have been used to successfully treat thousands of patients with IBS, migraines, fibromyalgia, autism, ADD/ADHD, IBD, urticaria, chronic fatigue syndrome, obesity, and more over the past decade. MRT is the only blood test that quantifies the inflammatory response to foods and food-chemicals, letting you know not just which foods you should stay away from, but more importantly which foods are your BEST foods – those with the lowest level of reactivity. MRT is not IgG, IgA or IgE testing. The information MRT provides directly translates into the most effective therapy – the LEAP Anti-Inflammatory Eating Plan. Independent studies confirm MRT® is the most accurate and most comprehensive blood test available for food and food-chemical reactions. LEAP dietary care provides you the opportunity to get the maximum benefit from your testing. If you want the best, you can have it with LEAP. LEAP has helped thousands of patients across the country turn years of suffering into a bright, happy, healthy future, free of the symptoms that once seemed an inescapable part of life. Determining whether or not you are ready to invest your time and money into food sensitivity testing is not a decision that should be made lightly. To help guide my clients to the dietary approach that is right for them, I offer a free 45-minute LEAP/MET Food Sensitivity Clarity Consultation Call. The LEAP/MRT Food Sensitivity Clarity Consultation Call will take approximately 30-45 minutes to allow for a thorough evaluation of your current and past health history to decide if you are a right fit for the program. Sign up below to see if LEAP/MRT Food Sensitivity Testing is right for you.